I'm looking to get a logo designed for the translation agency I'm currently building. 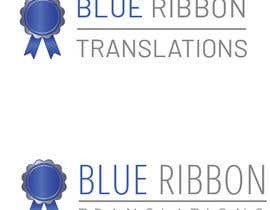 It will be called Blue Ribbon Translations and if you look up the term Blue Ribbon you'll find that it stands for excellence and a high level of quality. 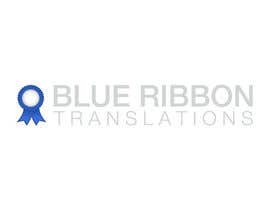 The Blue Ribbon is also being awarded to winners of competitions. 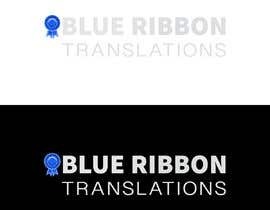 That's just so you get an idea of what I'm after and what the logo should represent. I already have a design in mind for the logo but I'm still open to new ideas, so feel free to provide your own ideas, as long as they fit my overall specifications of what the logo should look like. 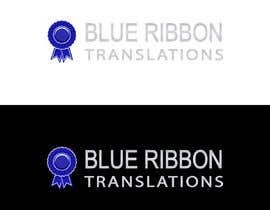 So my idea currently is to have the name of the business written in capital letters in 2 lines. 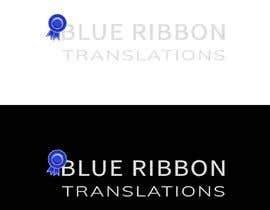 BLUE RIBBON in the first line and TRANSLATIONS in the second one below it. That way they should have about the same length. You might have to add something in between the first 2 words to seperate them, but it could also work with just a space inbetween them. Please try out different versions so I can see what looks best. 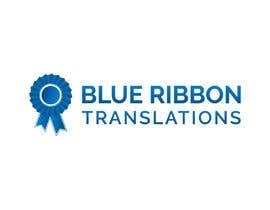 Then in the top left corner of the name I want a blue ribbon in a color similar to royal blue. I've added a picture with that color for reference titled "royal blue". But you can also try other similar blue tones. From the designs I've seen so far online the one titled "blue ribbon" is the one I like the most so far. I like the overall design and how the colors are used in it. The length of the two ends at the bottom also seems ideal. 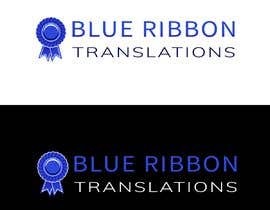 If you can you could try adjusting the colors in that picture to make it a bit closer to royal blue to see how it looks. "blue ribbon 2" also has a nice looking color, although it shows a real life ribbon. The design I'm looking for should be flat and 2 dimensional. No fancy effects, no cartoony stuff, etc. Feel free to also check out the other pictures I've uploaded for inspiration. As I mentioned I am open to new ideas as well as long as they fit the overall feel I'm after. For example I like the design of the two bottom ends in "blue ribbon form 2" with the white lines. But the rest of the white elements in the circle don't look that great. 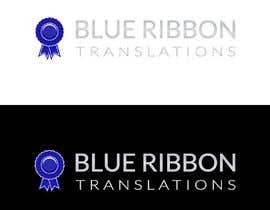 So you could try adding those white lines to the bottem ends of the "blue ribbon" design. As for the letters of the name I thought of a platinum color. Two dimensional without any flashy effects. I couldn't even find a proper example that didn't have any weird effects on it. It should have a certain shine to it but it you add any effects to it, then they should be very subtle. Overall it should be a bright color, not too dark or too grey. But if you have other ideas feel free to use them as well so I can see how it looks. As for the font I'm not sure yet. The simple choice would be the one from the picture titled "font" as it's simple and still looks quite premium. 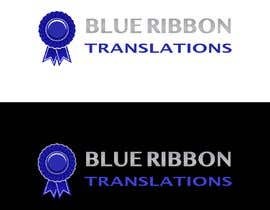 I've also added a few other pictures with fonts that might look good but I'd have to see it on the logo first. If you can think of any similar font designs then please use them as well. Last thing to mention is that I'll need all the source files, including seperate files for the ribbon design and I'll also need a design for the favicon. 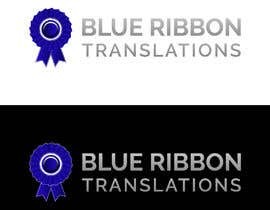 For that I'll probably just use the design of the ribbon but you'd still need to provide the files in the proper sizes.